Bushiroad reports that the Cardfight!! Vanguard Spring Caravan has been demoed by more than 12000 people at 158 stores across Japan since its inception in March. The number of participants is likely to double by the time the Caravan concludes on the 30th, by which time over 300 stores will have hosted demo events for the Standard format. The equivalent English events are stated to start in June, closer to the launch of the Trial Decks. 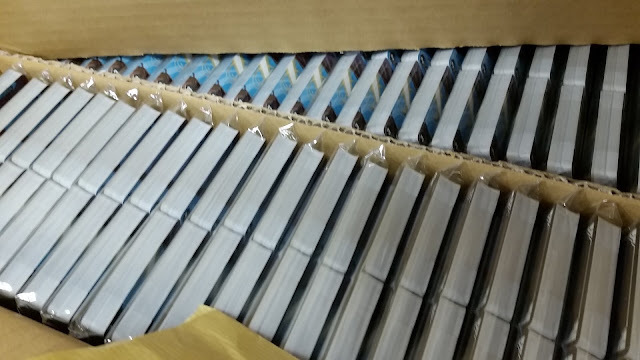 A newly-opened carton of Start Decks given out to card shops. Uploaded by @nextonenabari. The Spring Caravan is a unique opportunity for new fighters to learn the ropes of the Standard format, and walk away with a free Start Deck. The Stardrive Dragon deck was given out between March 16th and April 6th, while after today shops will begin distributing the Crested Dragon deck. 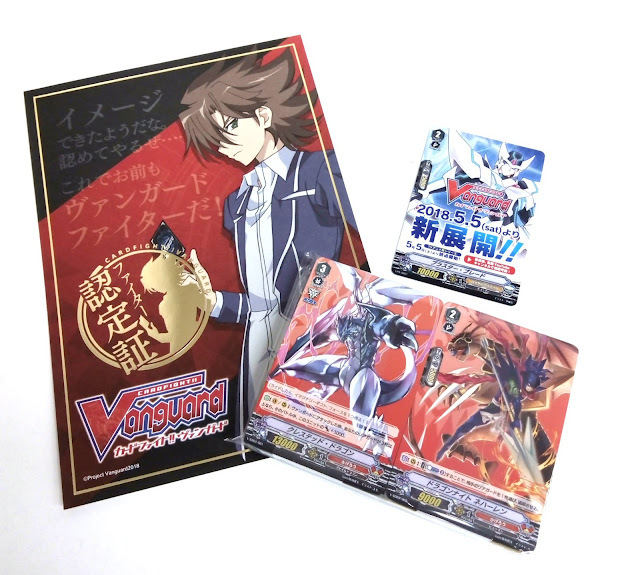 Both Start Decks come with a vanilla Blaster Blade promotional card. Those that complete the workshop also receive a commemorative certificate featuring Kai Toshiki welcoming them to the world of Vanguard. 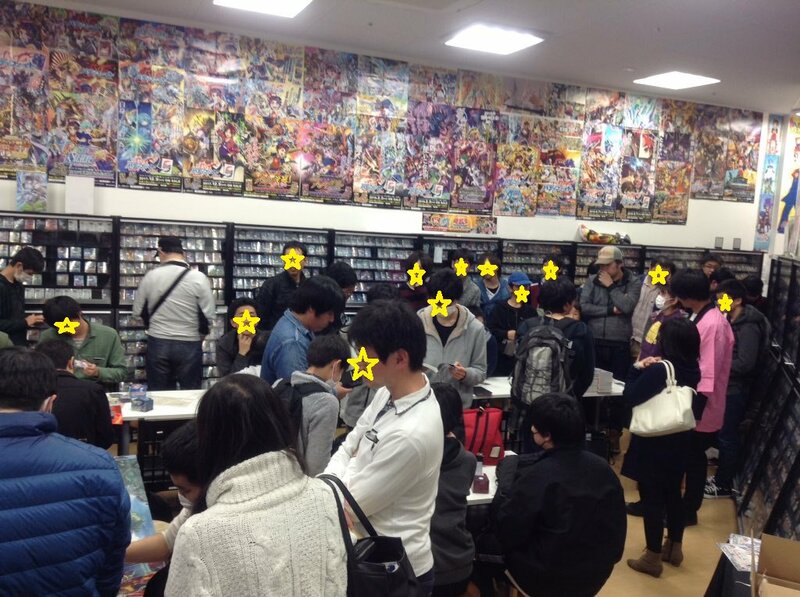 Bushiroad last reported around 5000 participants by March 24th.